You got customers, now you have to keep them. Every business knows this is much easier said than done. Lucky for you, you know that video increases satisfaction and participation. In fact according to MarkertingSherpa, people spend 100% more time on web pages that contain video. Here are 4 types of video that will not only help customer participation, but also customer retention. People like being shown how to do something. If a picture in manual is worth 100 words, how much is demonstration video? A thousand? A million? Whatever large number you choose to think of? 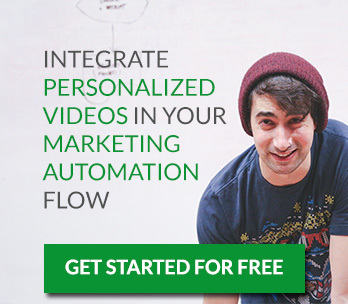 How to videos are one way to increase customer retention. How to videos can be educational videos showing how to work the new features of your program or like in the case of ASOS or Zappos they can just be videos showing you how the clothing moves and really looks. Zappos recently reported that sales increased by between 6% and 30% on products where product videos were added. I´ll talk more about how to increase sales with online video in the next email. Don´t miss it! Customers ask lots of questions whether it be how do I use this or what is the concept behind this? Answering there questions is one of the easiest ways to make the customer feel as if they are getting personalized attention and that there support matters. A customer who feels taken care of is a happy customer, but don’t just stop by answering their questions, make a video out of it. Hearing and seeing a real person answer their questions makes the whole process more personal and thus the customer feels even more important. Much like how to videos concept explanations are all about educating the customer. Instead of educating the customer on your specific service or product, concept explanations are about explaining an over arching topic such as video creating. By explaining topics and sharing your own tips, you create a relationship with the customer that is beyond just product and consumer. Because of concept explanation videos customers will look to your site when they have a question or want to know more, and any business person knows more traffic to your site leads to more revenue. You don’t even have to make all the concept videos that you post. If you find videos that explain a topic in a comprehensive manner then by all means share it. Your customer will appreciate the information and keep coming back to you for more. If you are working on something big, such as a new update or product and want to spread the word about it. Do it with a video announcement. This will attract attention to the new product and give people a heads up on when they should expect it. Customers will also feel more involved in the process and will be more likely to come back to the site if they like the ad. So now it’s your turn to go out and not only get new customers, but keep those current customers for years to come. Video Marketing, Web video. permalink.